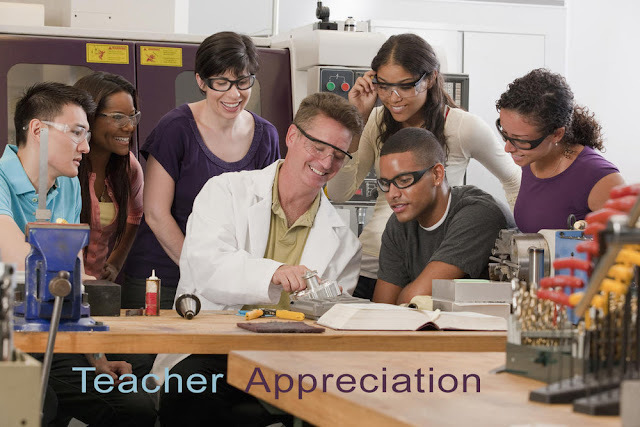 Dot those i's, cross those t's, tighten up that bibliography and pipe down in the back row because this is Teacher Appreciation Week! Though you might envy their free summers and holidays off, teachers have a uniquely challenging year. According to a study by the NEA, teachers work an average of 50 hours a week and earn less money than most professionals with equivalent degrees. While being a teacher is not the easiest or most lucrative profession, the rewards lie elsewhere. One poll revealed that 88% of people surveyed said a teacher had a positive impact on their life.